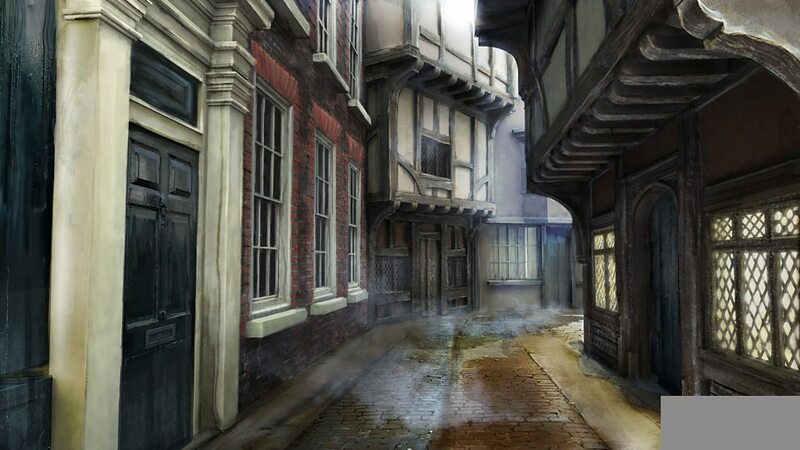 Now, I know the Big Finish licence only extends up until Time of the Doctor but consider how wonderful a setting the Trap Street would make from Face the Raven? The concept is strong, the location already vivid (eg see the production artwork left); what’s not to like? My theory centres on Ashildr. There is already a book of what she did between episodes coming out (see Maisie Williams – now we know! ), and look at the writers – every one a Big Finish regular! If nothing else surely it’s a small extension to the licence to bring Ashildr to audio. My main idea is the street itself. Big Finish could release short stories, short trips type readings or even some full cast audios. Add Rigsy into the mix with Ashildr / Me and plenty of opportunity for stories. 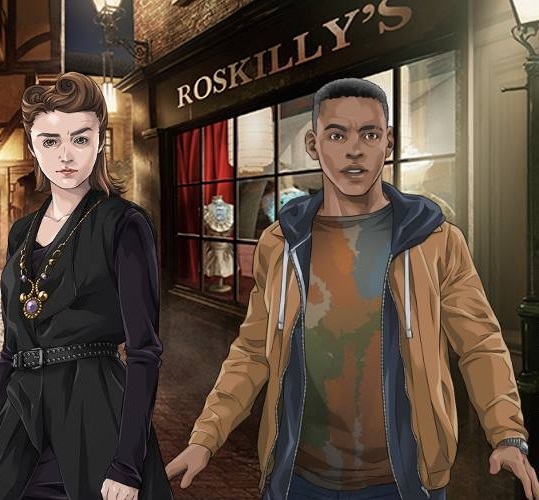 The picture left is from Doctor Who Legacy and shows Roskilly’s shop. There was also a bar and other locations. I think it’s a winner – thoughts please?! What if the Big Finish licence were extended? The license actually extends up to the end of Time of the Doctor, not Day. Thanks Drew – that’ll teach me not to check my own posts!